This uniquely designed tool can create beautiful rosettes using only your drill press or lathe. 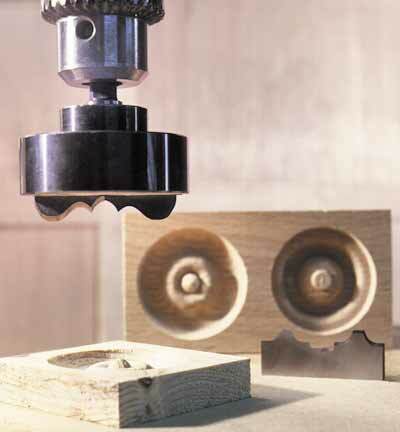 The heavy, solid steel moulding head mounts into the drill press chuck and accepts a variety of high speed steel cutter shapes. 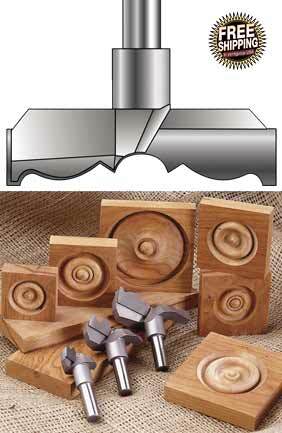 Clamp your choice of wood in place and feed the cutter into the wood as in normal drilling operations. Requires a 1/2" shank capacity drill chuck. A 1/2" hex shank is provided. For best results, cut at 350 rpm. SAVE $15.70! 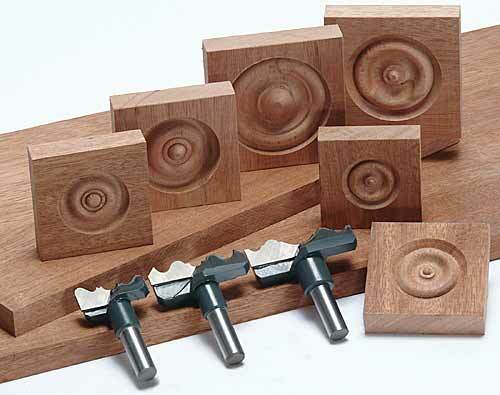 Includes all 7 Rosette Profile Knives shown above. Individual price $96.95. Cutter Head sold separately. For use in a drill press or lathe. 2 flute, carbide tipped. Two styles are available. All shanks are 1/2". 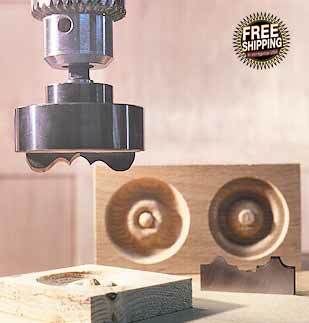 For best results use slow controlled feed at 300-500 rpm on cherry, mahogany, maple, poplar, pine, or MDF wood. Inlay Style leaves the finished rosette cut in the wood.